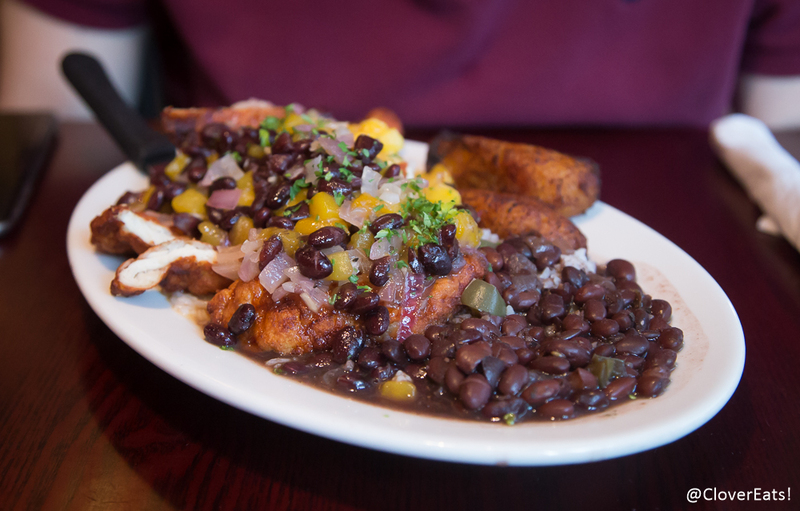 CloverEats: Soul de Cuba Cafe in New Haven | Clover Eats! 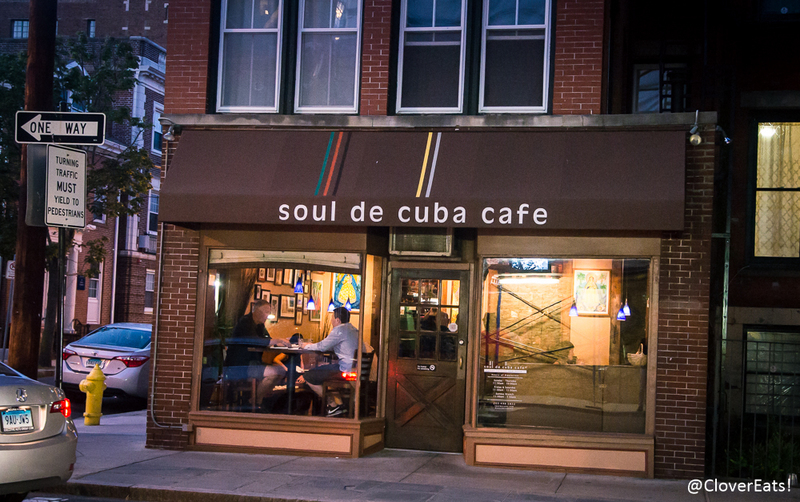 We heard great things about Soul de Cuba, and so decided to take the walk there to see what all the fuss was about. It was reasonably crowded at dinnertime on a weekend, and it’s definitely a small space, but we were able to snag an open table. People who came afterwards weren’t so lucky, but were able to get seats at the bar. There were only two people working in the whole restaurant, which granted is a small space, but they definitely had to keep moving in order to keep up with everyone. 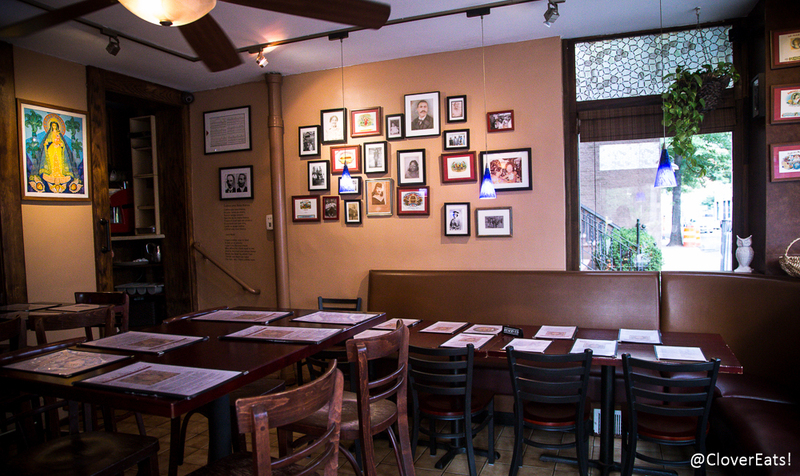 Lots of distinctive art on the walls, and the menu seems to have a very authentic air to it. The pollo moderno pictured above was absolutely fantastic, with extraordinarily flavorful, tender chicken and an unusual but excellent salsa. 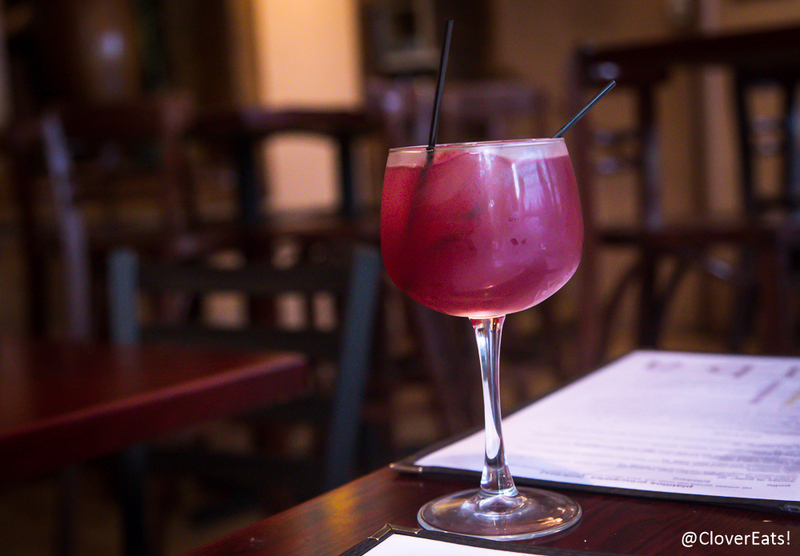 There are reviews on Yelp that call the sangria the best in the town but I was utterly unimpressed. I should have gone with the interesting-sounding coconut mojito. The food, on the other hand, was fantastic, everything was so flavorful and rich! 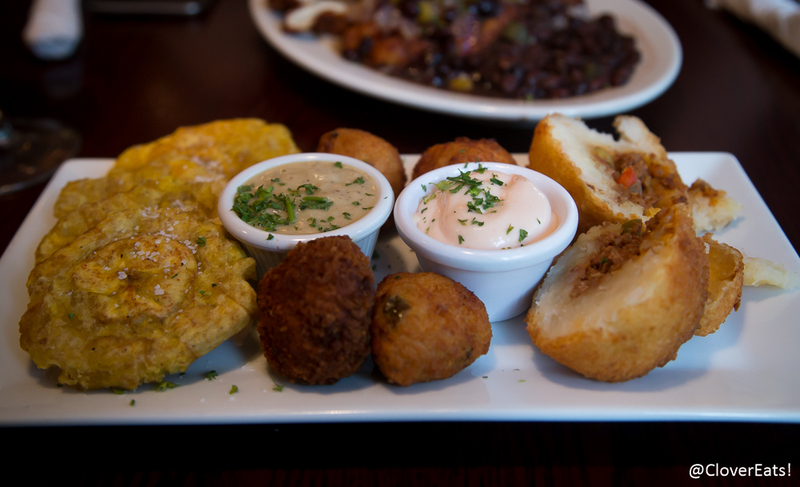 My favorite part of the sampler were the crab croquets, “deviled crab”, even though I’m not a huge fan of crab. 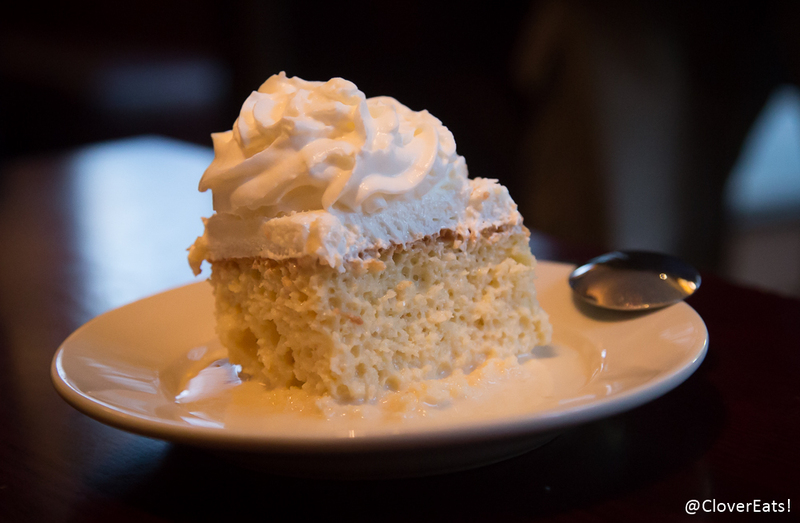 I also enjoyed the tres leches dessert, although it quite a bit too sweet. We paid $30/person. Check them out on Yelp or at their website!